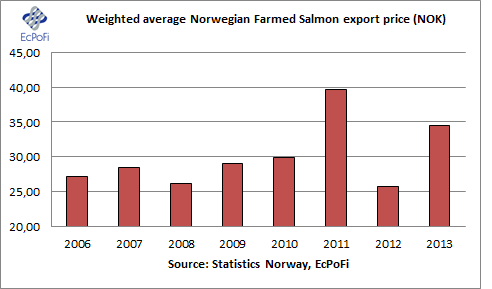 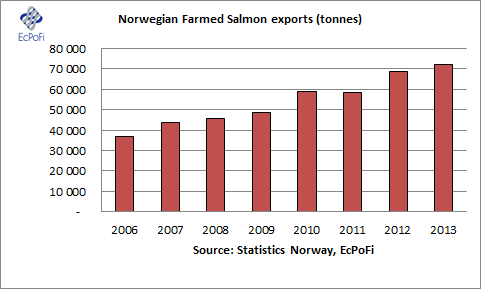 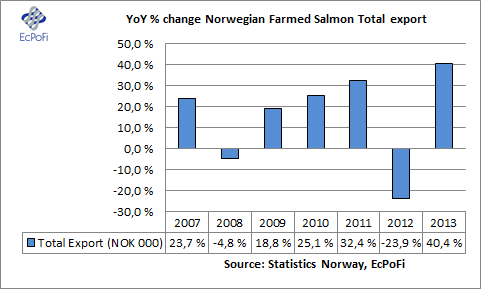 The first five weeks of 2013 have been an excellent start to the new year for exports of Norwegian farmed salmon. 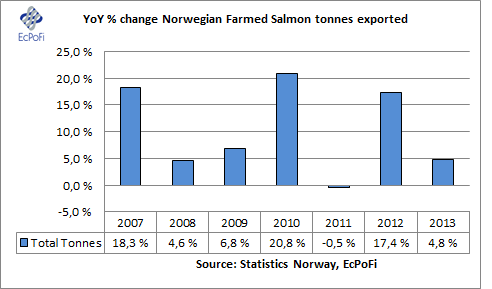 Both the volume of salmon exported and the total value of exports are the highest ever reported for the first five weeks of any year, while the average price is lower than that achieved during the first five weeks of 2011. 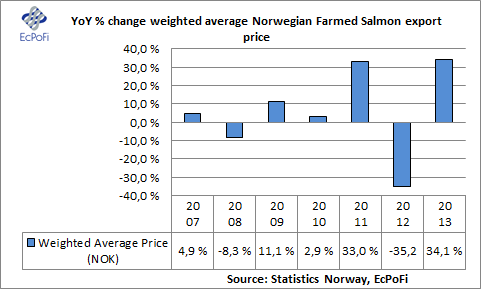 Compared to last year, tonnes exported is up by 4.8%, the weighted average price (fresh and frozen) is up by 34.1% while the value of exports is up by 40.4% with all three all three being substantially higher than the averages for the period 2006 to 2012 (as of week 5). 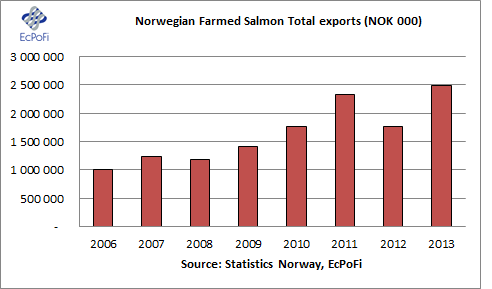 See also the Norwegian Farmed Salmon Exports Weekly report.